Club Penguin Cheats by Mimo777 Club Penguin Cheats by Mimo777: Battle Mimo on Chobots Robot Battle Game! Oh yeah! I'm good at this game! But can YOU beat me? Take a look! 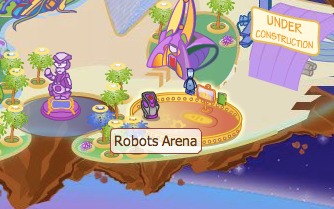 First you go to the Chobots Robots Arena. Then you can build your own Robot. Then you battle someone and increase your levels. But are you good enough to be MIMO!? Click here to get your Robot now! Hey Mimo i saw that it looks cool! Can you meet me in snow board in the mine shack. Im becoming a mod and i want to see you bye!!! WAIT, CAN THAT BE 3:00 CP TIME? I tried to battle you but my internet's messed up. Hey mimo. can i have a cpg party at snow board mine shack 3:00 cp time to talk about u. u dont have to come plz post this!!! You know whats cool?They play one of your songs you made! Rar.... Almost a copy of Card-Jitsu! Mimo has seen the box dimension many times. 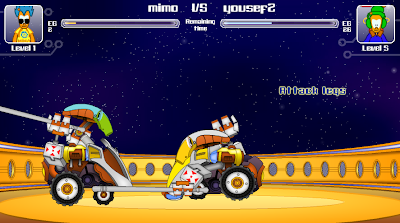 Mimo its me dapdopy i saw you but you did not answer me i saw you in the robot arena! mimo my chobots name is topper74 i never get to meet you and i really want to can u make another chobots mimo rain party?. cool, mimo how do u make a good website like urs?????? hey mimo meet me on webosaurs on jurasic at the gizer and add me and i am moak ok cya there! what servers are you usually on at night? it doesn't so say in the side bar. He has already posted about that. He is usually on Fjord. He has already posted about this. i dont think so. I dont play that game but i heard of it, but i dont think you have to be a member. When can we have a Garden Party World (GPW) Party? Mimo posted that actually ages ago! Hehe. He oftenly goes on servers Fjord or Bigfoot...mainly Fjord. I don't think so. Though I don't really play Chobots that much, I'm going to go try it out! It has to have good style and graphics, maybe some Moderators to watch the comments and help people, post awesome cheats, and have other site workers such as your family members! sweet dude! 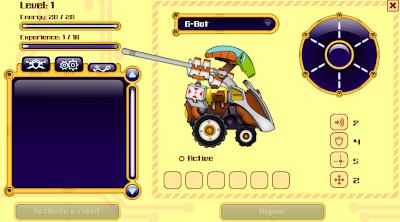 unfortunatly i dont have enough bugz to buy this robot dude. btw does anyone actually know where the word robot came from??? sorry, mimo doesnt go to ppls parties :( i know from experiance and other ppl told me too. Sorry, man, you seen nice and everything and i'm sure mimo would like to meet you, but he can;t go meet everybody.... he just can't! He has lots to do and he can't meet everybody who want to meet him. That's so cool!I was busy,but i knew everyone had an awesome time, do you know if any other penguin is coming for the cp christmas party? Oh well, you did great modding in the past! It was fun reading your comments. He saw that a long time ago and posted it a long time ago. I think hes asking about chobots. nice! I like your site! It's been a year 1/2 since i logged onto Club Penguin. And no, I'm not gonna ask you to come to a party, but it's up to YOU now. Should I stay in Club Penguin? hey mimo! ive noticed my puffles need NO CARE AT ALL latly. acually, since rockhoppers tree grew fruit. Hmm... interesting. thought you'ld like to know. hey mods, what happens during the Christmas party? I've never been to one before. To watawazasoul,well you have to be a talented blogger and a good designer.Afret a while you will be well known. =D can i play u sometime? theres a new cp cheat! if u go to the dojo theve updated it theres not the card jitsu fire vid screen in the dojo courtyard! 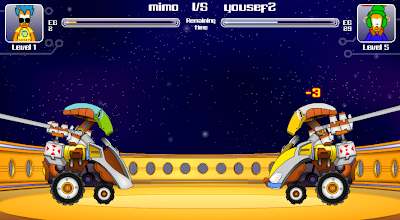 I probably cant beat you mimo, I dont play Chobots!!! Check out 'The Night Santa Went Crazy' by Weird Al Yankovic, so phunnie!! can you please pretty please make more club penguin posts? Did u know that the erson u were batteling with (yousef2)is arabic?I knew it from his name ;-) ..cuz im too!soooo anybody on 4 a chat?